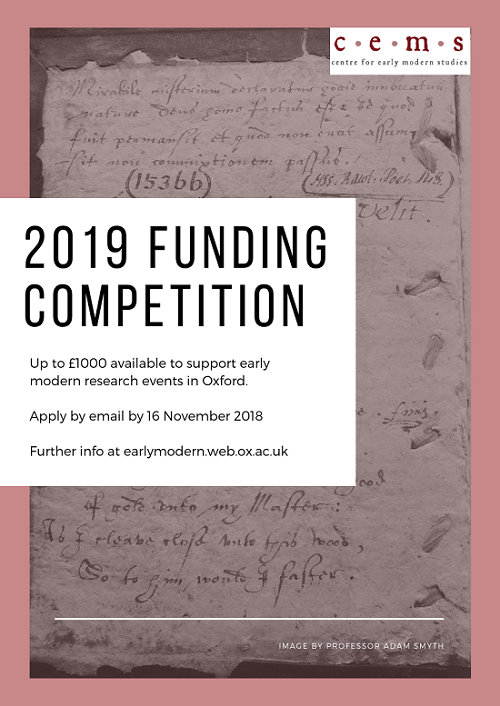 For the past two years, CEMS has offered up to £1500 of funding in support of research events in Oxford that further the CEMs mission of interdisciplinarity in early modern studies. Keep an eye on our blog for updates on CEMS-sponsored events and details of future funding competitions. View the results of our 2019 competition here. View the results of our 2018 competition here.